3. Play the E9 chord. 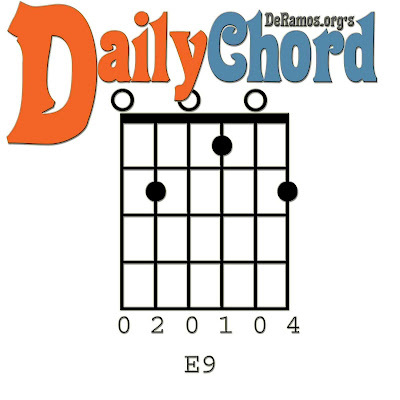 Intermediate info: The E9 chord adds the 7th (D) and 9th (F#) degrees on top of the E major triad (E, B, and G# notes).